SINFUL DISTRACTION by LONDON HALE COMING 1ST AUGUST! Sinful Distraction by London Hale releases August 1!!! The calls started a year ago. I needed an easy release, and he was there, for a price. One call turned into two, and before I knew it, I was falling for the voice on the other end of the line. When he shows up and introduces himself as the newest firefighter on the island, I’m terrified…at first. As the mayor, the last thing I need is a scandal. But Riley won’t take no for an answer, and I’m finding it hard to refuse him. Kate, the mayor of Temperance Falls, has a naughty little secret. Except I’m not so little and a hell of a lot more than just naughty. A year of weekly phone calls with our identities disguised has left me craving more. Being together could ruin everything she’s worked for, but there’s no turning back. Now that we’ve actually met, now that I’ve had a taste, nothing will stand in my way of making her mine. London Hale’s books can be read in any order, or as standalones. Looking for something quick, filthy, and taboo with a guaranteed HEA and no cheating? Sinful Distraction delivers. Author Kindle Friends ForeverPosted on July 22, 2017 July 25, 2017 Categories UncategorizedLeave a comment on SINFUL DISTRACTION by LONDON HALE COMING 1ST AUGUST! Sassy, dramatic, hot-headed are just some of the words used to describe me since the time I was born. A few little mishaps growing up and my mom has a running ‘Emerson Baker’ prayer circle, and I have the reputation of a spit-fire that won’t go away. I prefer the terms loyal, passionate, fiery, and possibly a bit impulsive. So when my best friend proposes the concept of starting our own business, I jump on the idea. That should be our motto… because your secrets can’t stay hidden for long with Trixsters Anonymous on the case. We are the moonlighting duo hell-bent on helping those who suspect their lovers are cheating. We’re professional, careful, and completely anonymous…What could possibly go wrong? Walker Scott… that’s what goes wrong. I never stood a chance against the gorgeous, hazel-eyed, fiercely determined man who storms into my life and completely blindsides me. He’s the proof that opposites attract—and when they do, the chemistry is explosive. Did I mention he’s also a detective? A very, very, talented detective? Pretty soon being a Trixster is a lot more complicated. The front cover says it best “Your secrets can’t stay hidden for long”. Emerson Baker, what a firecracker, she’s a woman after my own heart. Emi helps her best friend Maren to prove her fiancé is a liar and a cheat, which gives her the idea of creating Trixsters Anonymous. Of course this brings her front and centre to Walker Scott, ex military MP and current Charleston Police Department Detective. The set up and the delivery of this book was fabulously delivered. Trixsters Anonymous is the kind of book I find hard to put down, chock full of fun and delight. Emi and Maren are a force to be reckoned with. Hair brained schemes and running on luck, they go from one sticky situation to another. So many of the scenes they shared had me laughing my socks off. How they managed to pull off half of what they do is beyond me. The romance between Walker and Emi is done slowly, but when it comes to chemistry these two have it in spades. They’re romance is believable and full of heart. Trixsters Anonymous has enough action and suspense to keep the story moving forward and the characters are as three dimensional as any I’ve seen. There wasn’t a single word used in this book that didn’t have to be there. It was a fun, thrilling ride, with enough hotness to make my kindle smoke. 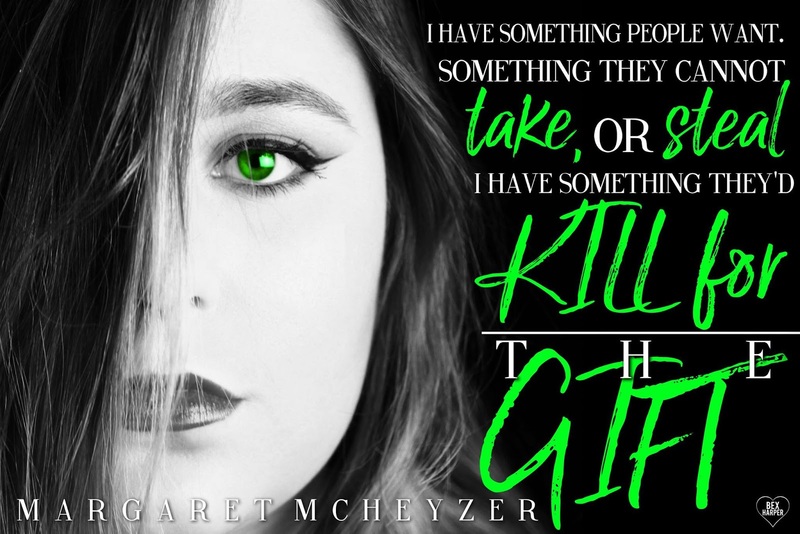 Click HERE to check out the Release Day Giveaway! ALL I NEED by Callie Harper is available now! This hot contemporary romance is part of the All In series and can be read a standalone. Be sure to grab your copy today! I was hired by his father to become his live-in caregiver. It sounded like an easy job. But the day I arrived at his broken-down Scottish castle I started to realize it might not be as easy as I thought. I was not told that I’d be looking after a dark, brooding, rich man mired in a world of pain. I was not told that this man would push all my buttons and test even my strongest limits. I was not told that he was devastatingly gorgeous with a wickedly, sinful mouth. I was definitely not told that what I’d end up feeling and what he would propose would drive me wild. But I’m Annie and this is my new job. And damn it, I’m not going to let anything, even him, that gorgeous, sinful, delicious man, stand in my way. You believe me? Don’t you? Ms Harper is a new author to me and my interest was piqued not only by the synopsis, but also the stunning cover. Its amazingly hot and I wanted to discover what was behind it. This is the story of Ian and Annie and their very unconventional love story. Filled with angst, suspense and off the charts steamy scenes. Ian is a dark, brooding man who was involved in a very tragic accident many years ago. Years later he is a recluse living in self-pity. His parents despair of him, especially when he won’t accept help or even help himself. Ian’s father employs Annie to help around the house and generally be a caretaker for his son. Ian is reluctant to accept any help as he is sporting a great big chip on his shoulder. He is a rude, arrogant, self-righteous. Annie will certainly have her work cut out for her with Ian and his brash attitude. Although Annie is a bit of a no-nonsense gal so Ian seems to meet his match. Annie needs the caretaking job as she’s the eldest, and works hard to help her mother raise her siblings and fetch more funds into the household. She is a sweet caring and selfless young lady who doesn’t seem to stand any nonsense from whoever. As far as she is concerned, she’s there to do a job and do it well, she will. Slowly but surely, it would seem she is possibly breaking down the stone wall Ian has built around himself. They both seem to be in a fixed state with their lives and together they seem to be learning there is more to life than just the existence they are living. They seem to draw out the best in each other. Or do they? It would appear there is a friendship forming and some sort of driving motivation to want the best. I really enjoyed this story. I as desperate to know where it would all lead to, after all Ian was battling many demons and it was if I was waiting for the penny to drop as I read on. The story is full of angst and emotion and as I discovered more about the characters my heart shattered for them both. Everybody deserves some sort of happiness. They both seem to draw out awareness of there being more to life. I would call this story a self-discovery and certainly enjoyable for me to discover what the future held for the both. I liked the slow build up to the raunchy scenes, it wasn’t something that could be rushed and at the same time wanting to combust with the chemistry and tension oozing of the pages. It was enough to make my kindle sizzle. There are secondary characters that make cameo appearances but this story is mainly centred on Ian and Annie. Told in dual point of view, I loved delving into both of their heads to learn what they were thinking. Overall, a very heartfelt entertaining read and certainly worth one clicking to. I aim to check out this author’s other works, especially as there are other books that are part of a series to All I Need; however, this can be read as a standalone. Don’t miss the other All In books! He’s an Olympic swimmer going for gold. Focused, driven, intense. She’s a blogger going for the scoop and she has the perfect in. She’s gotten herself hired as his physical therapist. With all that intimate time together, the secrets from his past don’t stand a chance. Note: IN DEEP is a standalone hot, contemporary romance. It’s the first of four standalone “All IN” novels with some crossover characters, each of which can be read in any order. Note: ALL OF ME is a standalone hot, contemporary romance. It’s one of four “All In” novels, which can be read in any order, with some crossover characters. Note: ALL OF YOU is a standalone hot, contemporary romance. It’s one of four “All In” novels, which can be read in any order, with some crossover characters. Callie is giving away a $25 Amazon giftcard and one eBook copy of ALL I NEED. I have something people want. I have something they cannot take or steal. I have something they’d kill for. The something I have, isn’t a possession, it’s more. Alexa Murphy was a normal 17 year old girl until her appendix burst and she nearly died. When she comes too in hospital she discovers she has been left with an extra ability, the ability to touch people and see their futures. Lexi is a kind hearted young woman and she makes a decision that ends up putting her face to face with Jude Caley. Jude knows what she can do and takes her captive. Ostensibly he claims it is to keep her safe, but that doesn’t stop him from using her as a human lie detector. The relationship between Lexi and Jude is a highly complex one. From the start of The Gift, Jude comes across as an uncaring. I initially hated Jude and the way he acted with Lexi. I found, however, at some point, and I can’t really say when. I found myself feeling pity and sympathy for him. It’s apparent he is hiding something from Lexi, and I really hope that is solved in the sequel The Curse. 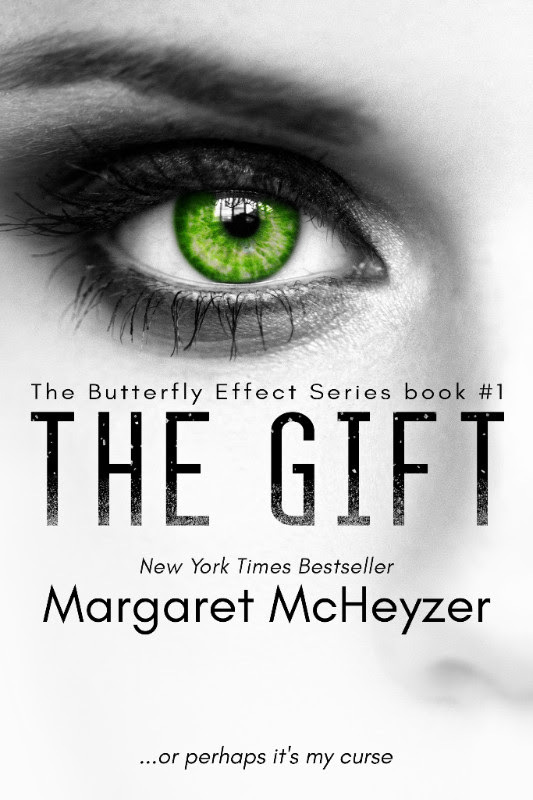 I enjoyed The Gift; it was a good start to the series which is why I didn’t really take it to heart when I found the book hard going in the first 15%. I wasn’t completely hooked until I was at the halfway mark. I don’t often read YA/NA books. I find them very hard to get into and even harder to relate to, but this was not the case when it came to The Gift. I know I stated that this wasn’t an easy one at the beginning, but this has nothing to do with it being a YA/NA. It has more to do with the character and story build up being done in a way that I found staggered at times and once or twice was very slow or mundane. 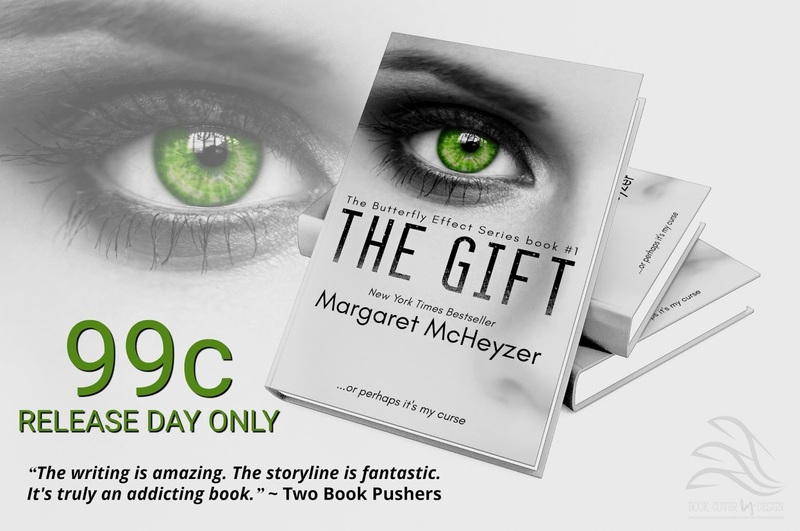 The Gift is the start of a series that could go anywhere. There were so many questions left unanswered. I really am highly intrigued in where the author will take this plot. I just wish this book hadn’t ended on a cliff hanger. **Write something worth reading**I’m Margaret and I’m a self-published author. 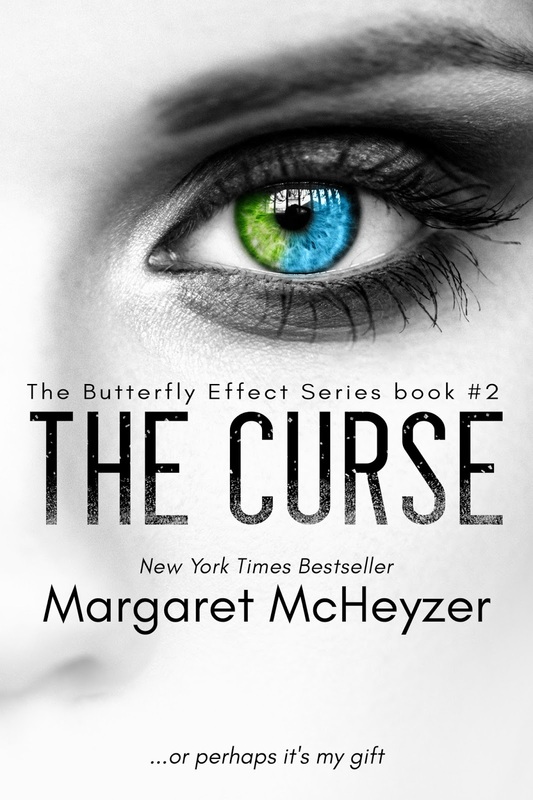 Recently I was fortunate in obtaining New York Times best selling status on my YA/NA book – Ugly, and my YA book – Mistrust.My last three books have been YA and I’m completely in love with the genre. I love being able to communicate with people through my words and stories.